iJigg is the place for you to find those rare addicting tunes from little artists. If you are a iJigg registered member, you can submit music, rate music and chime in on conversations, of cause you can listen to music. 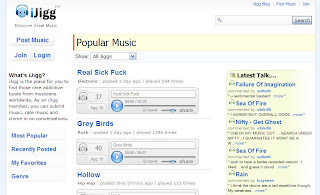 It is a dig music site.